It was by far the most successful PESA WA event this year with over 100 PESA members attending our monthly luncheon. 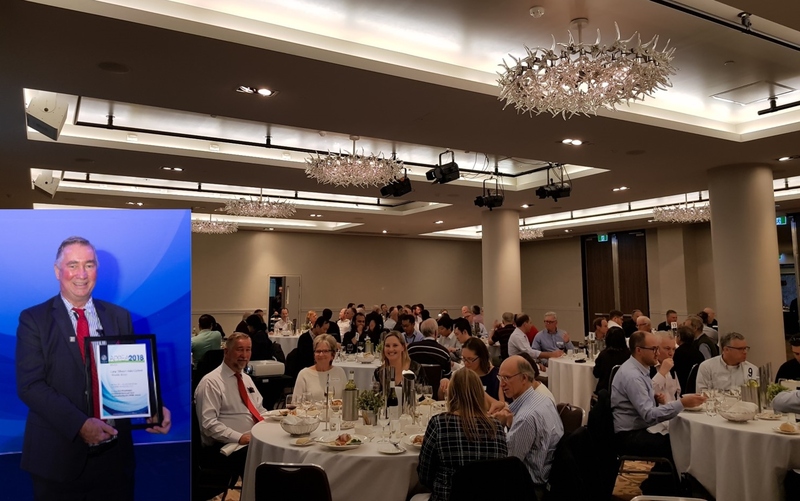 Our July guest speaker was a recognizable principal geophysicist Larry Tilbury from Woodside Energy presenting his long-lived contribution into planning and analysis of first Australia’s 4D seismic survey acquired over Pluto gas field, Northern Carnarvon Basin. The branch announcements by Victoria Seesaha, WA Branch Vice-President, included upcoming events such as the Winter Warmer at Ku De Ta, August technical talk by Garry O’Halloran from BHP on evolution of “Tres Hombres” within the Northern Beagle Sub-basin, and many more! Check out the website for WA events information and registrations – login to receive member discounts! Next year, Perth will be hosting an annual Australasian Exploration Geoscience Conference (AEGC2019), which will incorporate Western Australian Basin Symposium, and we are seeking contribution from our members by submitting papers and assistance with sponsorships to make this event unforgettable. The work presented by Larry Tilbury, co-authored by Andre Gerhadt, received the Best Peer Reviewed Paper (Alan Prince Award) in the Geophysical Innovation Session at APPEA 2018. After an introduction to the study area and technical aspects of seismic acquisition, the talk moved into data analysis where two seismic events were observed: strong “hardening” responses on the 4D difference volumes that are interpreted as water ingress into the field, and strong “softening” that could presumably be interpreted as evidence of gas expansion into the acquirers. Several examples have been shown – the strongest response is seen in the large Triassic valley within an essentially shale prone unit, which shows water ingress into the valley and moving upwards from the GWC towards the producing well. The project has been considered very successful in controlling production and delivering excellent points for the history matching of the Pluto Gas Field. The talk was proceeded with a range of technical questions and long discussion about profitability of running 4D seismic project over producing fields. Larry announced that he was retiring the following day and PESA WA Branch feels honoured that Larry chose to present his last talk with us. His family was present among the audience and it was the first time seeing Larry present his work! The success of PESA WA Branch Technical Series wouldn’t be possible without the support of our four sponsors: Spectrum (Platinum), CGG (Gold), Searcher Seismic (Gold) and DUG (Gold).